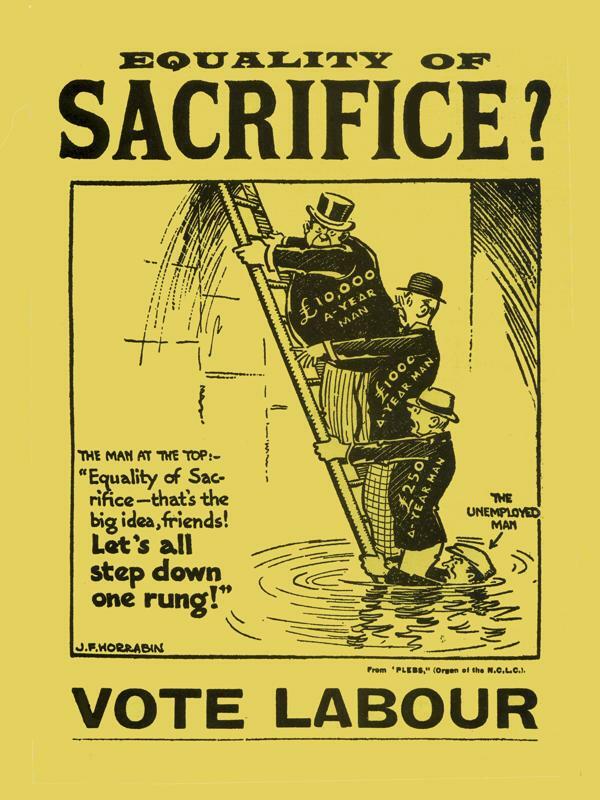 During yesterday’s House of Commons debate on Welfare Reform, in what was regarded by many as the best speech of the session, David Miliband referenced a poster the Labour Party ran in 1929 (above). Conjuring up relevant imagery in political oratory is a very good tactic in the art of verbal persuasion and I’ve no doubt that Miliband’s inclusion of this piece of historical communication helped lodge his contribution in the minds of the lobby correspondents. Another smart thing about referencing a poster (or any image) in a speech is that it gives supporters something interesting to post on social networks to help spread the message. The number of people who would post a link to a House of Commons speech (unless it’s one of clear seminal importance or contains something of absolute hilarity) to their social networks is fairly minimal. However, punchy, political images are regular features of most peoples’ timelines. Indeed the above image was doing the rounds last night. Mentioning political adverts in speeches also helps get attention in mainstream media: journalists must tire of featuring footage and imagery of politicians standing at the despatch box or podium pleading their case. By mentioning a poster or video it gives them an excuse to run the advert in their editorial, making it more likely to reach the eyeballs of those who would usually ignore features which review House of Commons debates. If I was a speech writer I’d be busy researching relevant political imagery for my boss’s next big performance. Next NRA advert: Protection For Obama’s Kids, Gun-Free Zones For Ours?